Our firm offers all types of tax compliance services, as well as IRS representation and representation before other regulatory agencies for other tax matters and tax controversies. Our goal for our clients is to stay off the IRS’ radar screen by timely filing all returns, submitting returns that are highly accurate and contain appropriate disclosures, and by responding very promptly to IRS notices, and following through to complete resolution. If you find yourself in a “situation” with the IRS, or another taxing authority, it is never the right course of action to ignore and hope it goes away. Even if you are not an existing client of our firm, we are available to become your tax professional, to help you through your current “situation” and to move you into regular and timely compliance, to avoid any more such “situations” in the future. We serve individual taxpayers by preparing their annual 1040 returns (this also includes 1040NR returns for those who do not reside in the United States, but who own property or business interests here and are required to file a US tax return). We prepare all types of individual tax returns, from the most simple, to the very complex. We offer a complimentary consultation for new tax clients to review your tax situation, at any time during the year, including tax filing season. While there is no set price for the preparation of individual returns, we are normally able to provide a fairly accurate fee quote before we begin your work so that you know what to expect in terms of the fee for tax return preparation. Our fees are competitive with almost all other tax preparation options out there, although the level of service and expertise we provide is far and above that of most of our competitors. 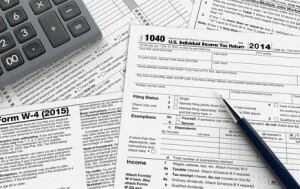 Attorneys who prepare returns are subject to the highest level of scrutiny by the IRS, so you can enjoy the benefits that our reputation provides. As part of our tax compliance services, we recommend that all individuals who have commenced filing of returns in their lifetime continue to file each and every year, even if you do not owe tax, to avail yourself of the protection of the statute of limitations,, and limiting the IRS’ ability to challenge your tax compliance to the three-year window allowed to those who timely file their annual returns. We serve business taxpayers by preparing all types of business tax returns (1120S, 1120, and 1065). We also support business owners in preparing a complete and accurate set of books to serve as the foundation for the tax return. Most of our clients use the QuickBooks platform, and we provide setup, training, review and assistance to clients to utilize this software. We also support other types of bookkeeping systems, always with the goal of filing an accurate business tax return. We also advise our business clients in the area of reasonable compensation, and in some cases, provide payroll services for very small employers. When appropriate, we refer our clients to an outside payroll company and partner with them to ensure payroll compliance. We serve trust and estate clients in the preparation of trust and estate tax returns (1041), as well as the preparation of Federal Estate Tax (Form 706) and Gift (Form 709) returns. We offer this service to clients of our firm, whether previously tax clients, or for those who are receiving our assistance with the settlement of an estate or with trust administration after death. Our firm represents clients and new clients with IRS audits, tax controversies, and we handle all matters of IRS notices. If you are an existing client and you have received an IRS notice, please make the first call to us to assist you in resolving the issue. Many IRS issues can be easily resolved by providing appropriate documentation information, so that we can advise you about the nature of the “situation” and to find the best way to promptly resolve it. Samantha is licensed before the United States Tax Court, and is permitted to take tax controversies to the highest level. If you have received a notice of deficiency from the IRS, there is a very limited amount of time to file the challenge, so do not delay in notifying us if you have received one, and you are not in agreement with the IRS’ findings, even if you are not already a client of our firm. Please allow Chechele Law to serve you, your family, and your business with the excellence that we bring to our professional practice area of taxation. We accept tax clients at any time during the year, whether you are up to date, or many years in arrears, and will provide you the best course of action to bring you compliant with your tax filing and payment responsibilities. Contact us today and request a consultation to meet with our professionals concerning your tax needs.